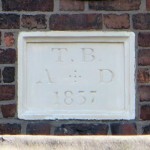 The above building, Willaston School, is situated off London Road, in what is now Nantwich. 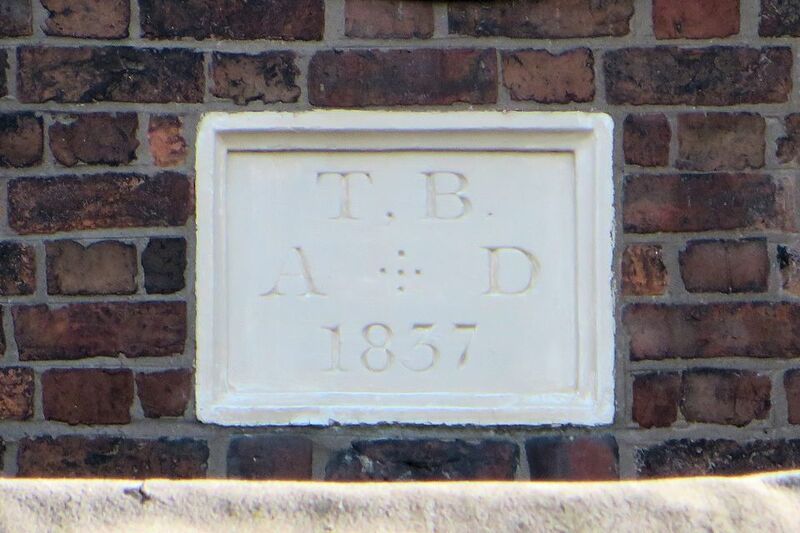 It shouldn’t be confused with Willaston Board School (established in 1875) on Crewe Road, Willaston. 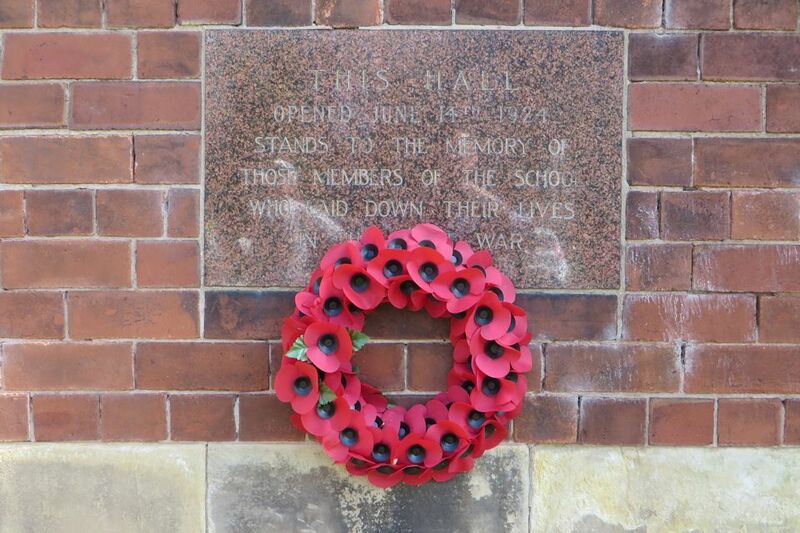 Willaston School has had many uses over the years. It started as a small public school (and was referred to as Willaston College by the locals) from 1900 until 1937. 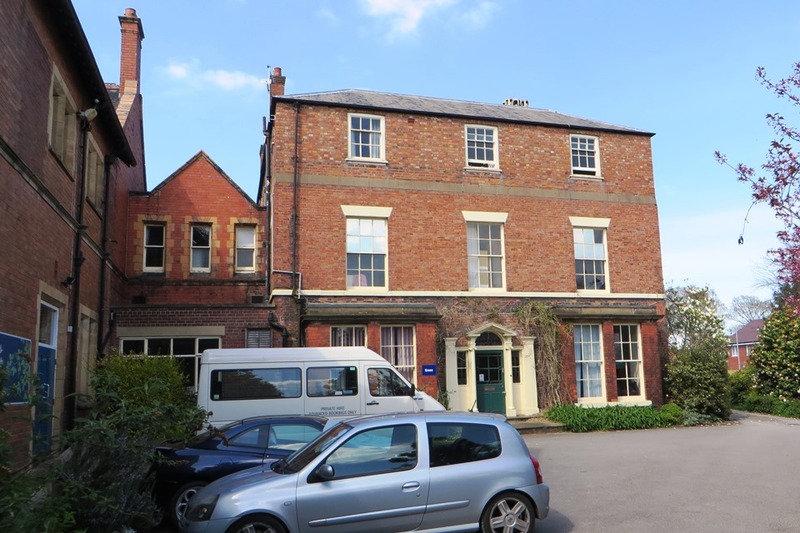 It was built under the provisions of the will of Philip Barker, gent of ‘The Grove’ , Willaston, Nantwich, dated 1894.
and became the headmaster’s house after the school was built. 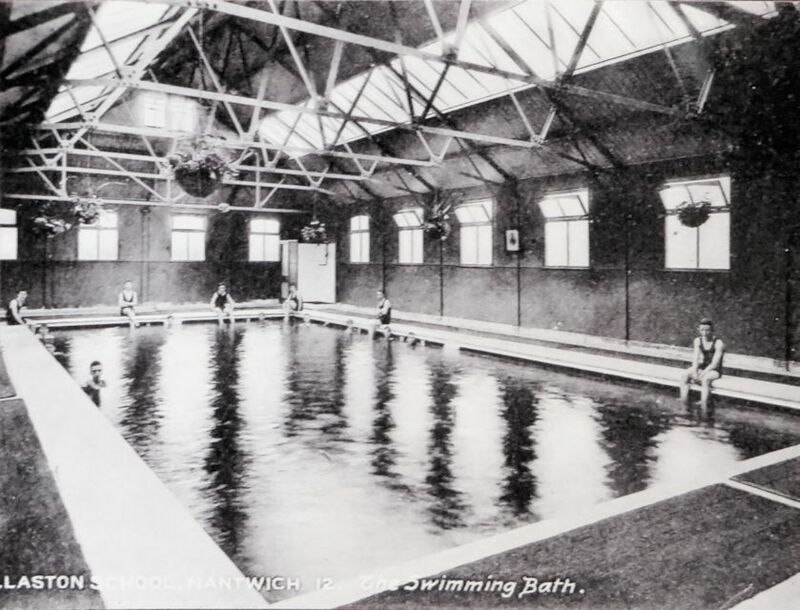 The school wasopened for pupils in September 1900, and enrolled 22 boys. 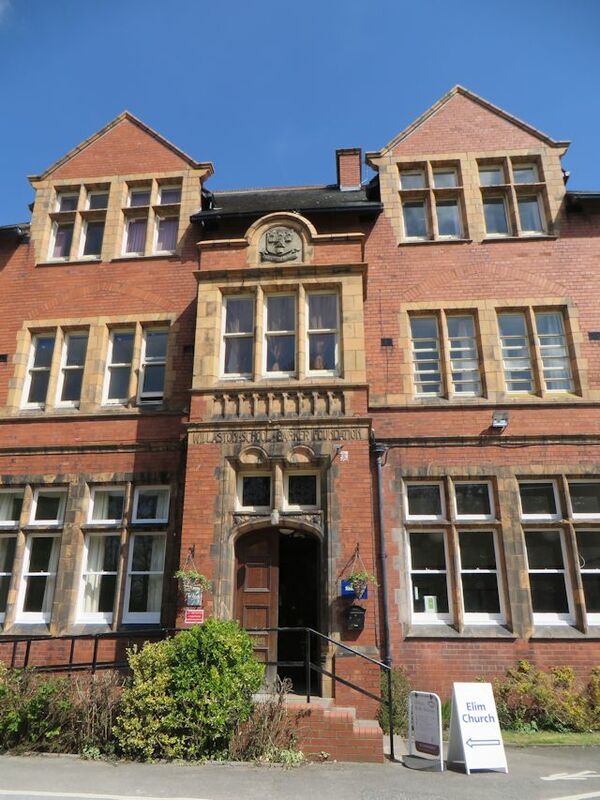 In 1909 a prep school was formed to take pre-school boys and this was built in the outer quadrangle. Ten old boys, and one master, died as a result of the First World War. Frank Skelton was in the Royal Flying Corps, and died on the 21/10/1917 in the war. 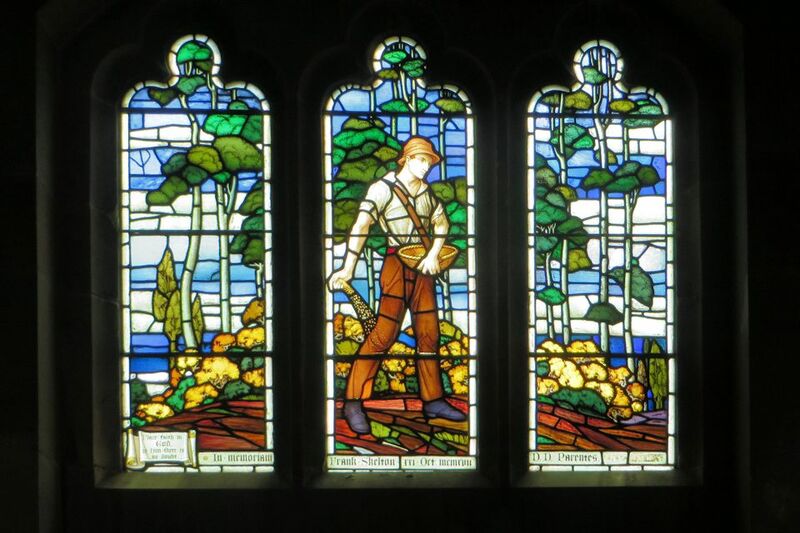 His parents, William and Fanny Skelton, of Adare, Roundhay, Leeds paid for this window in memory of their son. These were the private gift of Harry and Edith Hirsch, of Weetwood Grove, Leeds in memory of their son, Captain David Philip Hirsch – who died on 23/04/1917 and was awarded a posthumous VC (see here). Lack of funding resulted in the school closing in July 1937. 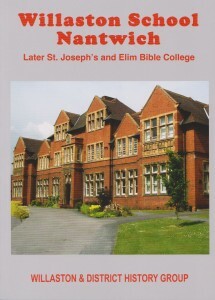 In 1987, it became Elim Bible College, which became Regents Theological College in 1996. 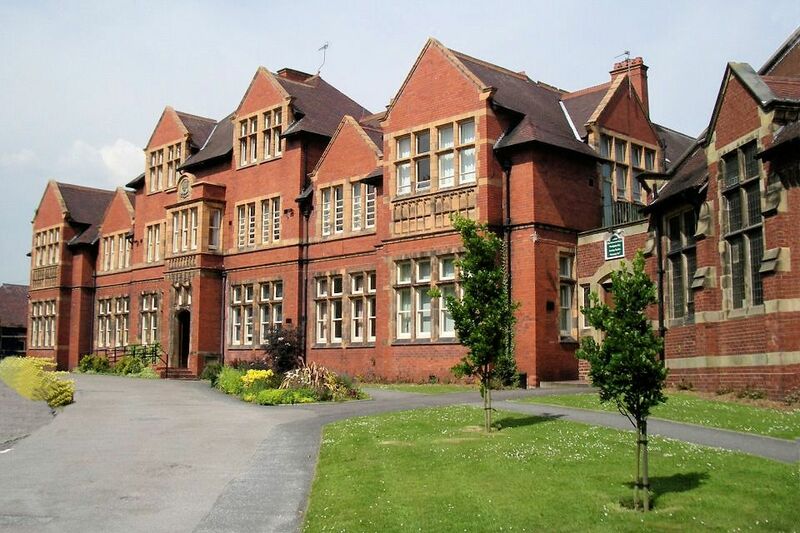 In 2010, 90 students from Reaseheath College were accommodated there. with contributions by local historian Andrew Lamberton, which is available in Nantwich Bookshop. There’s an open day at Willaston School at 11am – 3pm on Saturday 17th October 2015, where there will be book signings and old photos on display, and fund raising for Macmillan. This could be a good chance to have a look inside. As archivist of the Rugby Fives Association, I am very interested in the fact that Willaston School had two covered fives courts, recorded in Paton’s list of Schools in c. 1911. Do you have any record of these courts being in use, and if so, for how long? I imagine they were taken down when the school closed in 1937, if not before. Are there any photos of them? In reply to your request we do have some information about the fives courts. This is mainly from the copies of the school mag, of which we have copies covering the first 11 years from 1900 to 1911. There are copies covering the other years up to 1937 I think at Manchester College Oxford. They also have an extensive collection of lantern slides but sadly none of the courts themselves. There are 2 which I will send to you if I can have your Email address. The gymnasium building still stands but I think the fives courts have been removed. I am researching the life of Francis James Hanby, an Old Bradfordian who died 30th June 1916 near Loos, serving with the 12th Battalion Sussex Regiment. 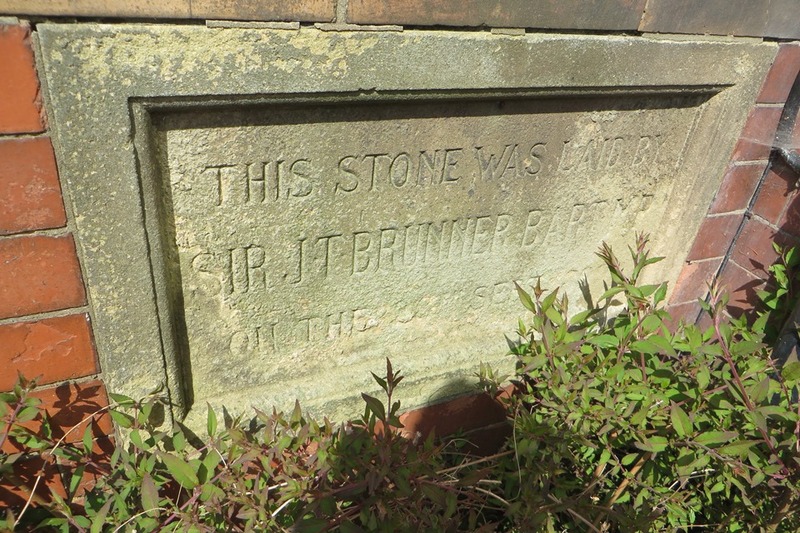 In 1911 he was a schoolmaster at Willaston School. I wonder whether there is a photo of him in the school’s archives as we do not have one at Bradford Grammar School. Yes we do have a photo of him but only as one of many on a school photograph. We also have a little written about by some ex-pupils which may be of interest. If you let me have your Email address I will forward these to you. He is featured in the book that we recently published about the school. Since this Andrew and Nick have exchanged email addresses and Andrew has supplied Nick with more photos and information to go in a revised version of Francis James Hanby’s biography. My grandfather, Norman Ebbutt, was at the school somewhere between 1900 and 1908. Are there any records of him? Found this very interesting content….thank you. 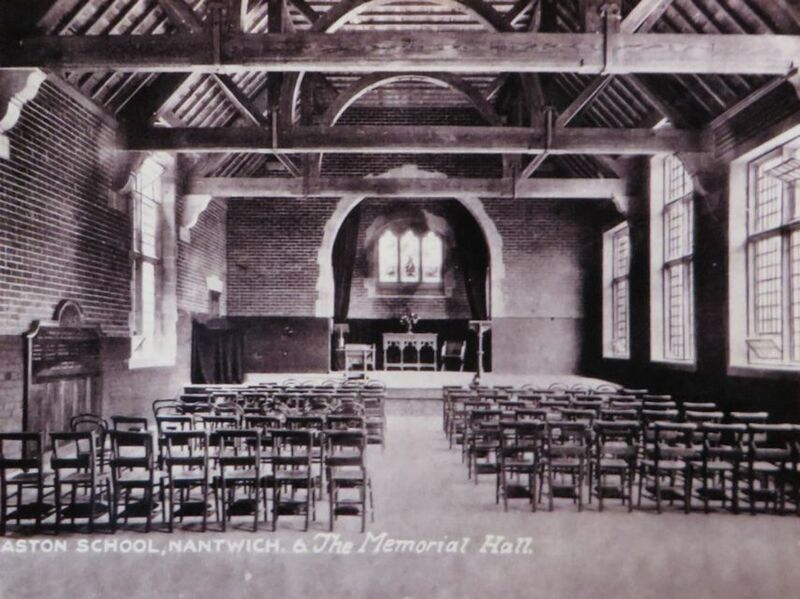 I loved my time as a teenager living in Nantwich. Still have my best friend living nearby in Willaston….although, I now live in Devon. He attended the school from 1905 to 1909. The school were immensely proud of him when he was expelled from Germany as the Times Correspondent in 1934 after standing up to Hitler. You should be as well! We also have some photos including a rather nice one of him playing the cello in the string quartet in the gym in 1907.